A powerful visual tool to manage your work! A Kanban board is a powerful workflow visualization tool. Tasks are represented by cards that are organized in lists. Each list represents a step in a work process. Simply drag and drop the cards around different status columns as they move through the process. (Think sticky-notes or post-its). It is perfect for visual thinkers. You can create Kanban boards in Hive by using Status View. Go to "Project Navigator", click "+New Project"
Hive Status View comes with three default statuses: unstarted, in progress, and completed. But you can change any status and add as many as you want. That way your team can customize it to their needs. The possibilities are endless. 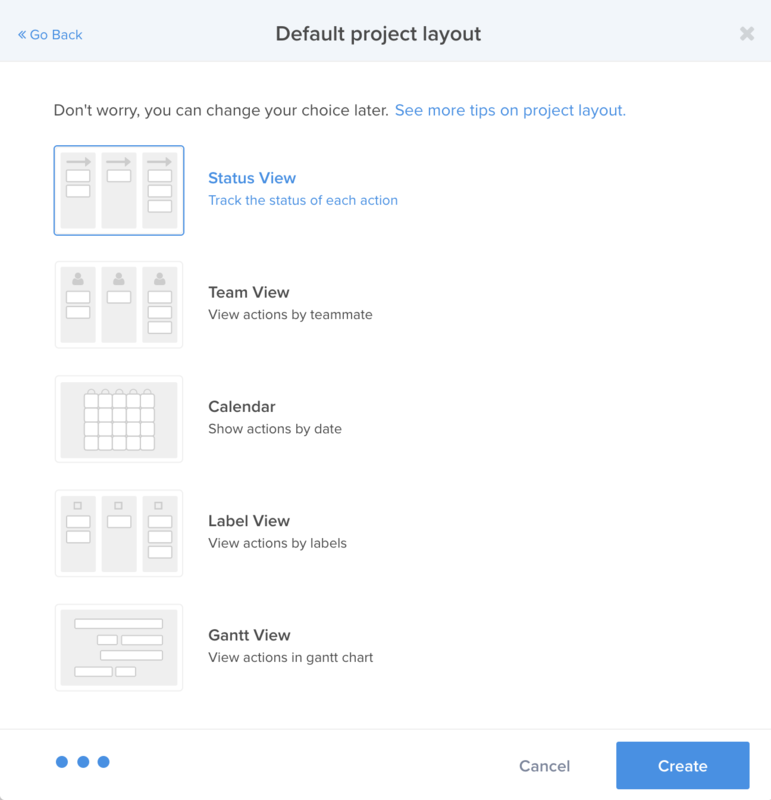 Here are some examples of how you can organize your team's Kanban board.